No Simple Highway Quilt- Finished!! I had another marathon weekend of quilting!! 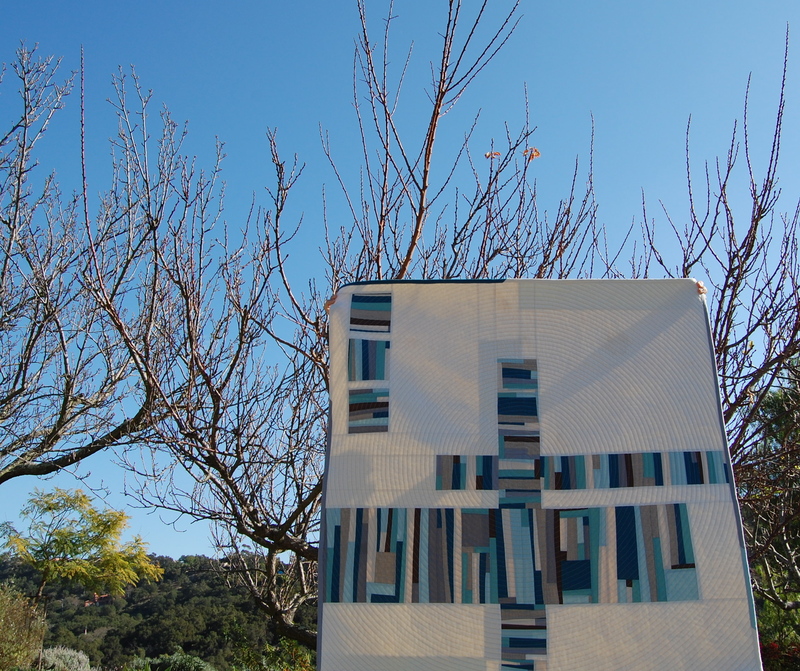 Do you ever have those quilts/projects that you love so much that you just can’t wait to see its final outcome? that you’ll pull all-nighters for? forget to eat breakfast……and lunch for? My newly finished, “No Simple Highway” quilt was one of those for me! I am really happy with the result! 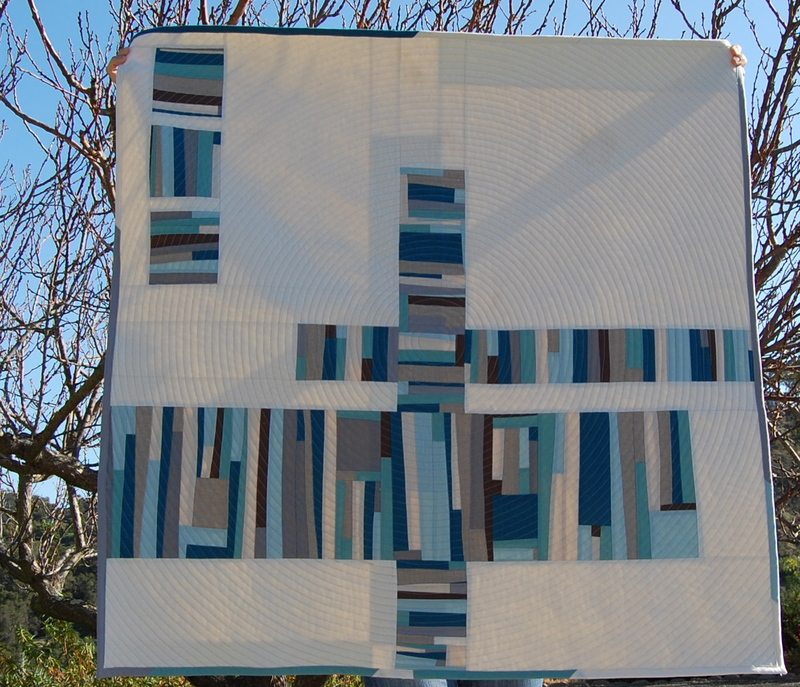 This was another all solids quilt, thank you Robert Kaufman Color Card for making it so easy to choose colors!! 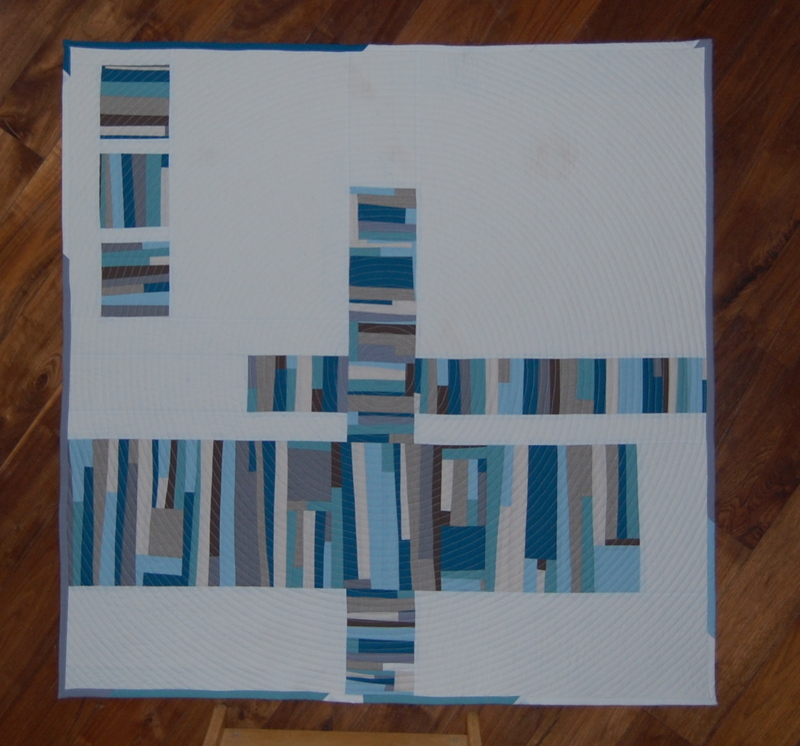 I enjoyed the process of making my Fact or Fiction Quilt so much that I wanted to create another similar in design but with a completely different palette. I actually started out browsing Design Seeds for some color inspiration. While I’m sure I was heavily influenced by those amazing color combos(and I got to create this really fun Pinterest board), my final color choices came from the Sundance Jewelery Catalog, especially the necklaces. I kind of have a thing for leather and stones and the way they photograph those pieces always inspires me. Soooo, instead of buying them, I make quilts inspired by them?!?!!! I really wanted to try this concentric circular quilting. Yes, once again I opted for my old friend, Mr. Walking Foot. It was a bit tedious trying to pack all these lines in to one weekend, but luckily this piece is only about 45″ square, so it was manageable-barely! Even though I planned all along to make this as a wall hanging, I couldn’t resist piecing a simple back for it. I just added a simple sort of “color sampler card” down the middle. I pieced together a bunch of leftovers to make the binding strip. Then bound it entirely on my machine. I am so happy to have a quilt that will finally be for me! This baby is going on the wall above my bed! Good thing Mr. Blooming Poppies likes it too. This quilt was quite a family intensive labor of love this last weekend. Everyone seemed to want a piece of the fun and dad just kept snapping away. I just had to add a few “process” highlights. Those little feet belong to the excited audience I had when basting began…. 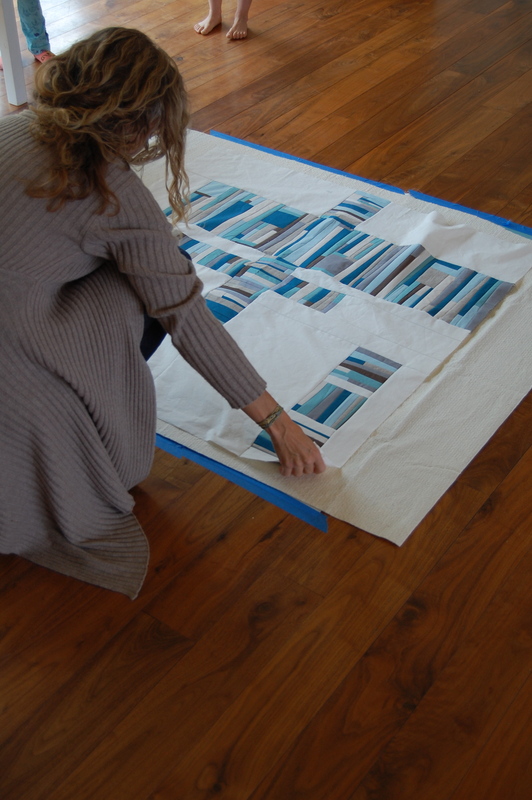 Then it was time to measure…. just because! I also had an audience for quilting. 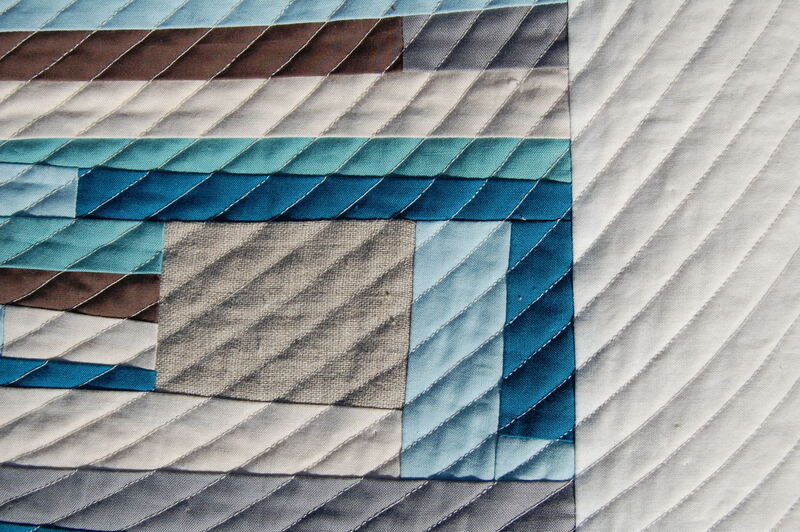 and some more quilting, and well, you get the idea. Whew….! It’s so beautiful!! I love it! The colors are fantastic. 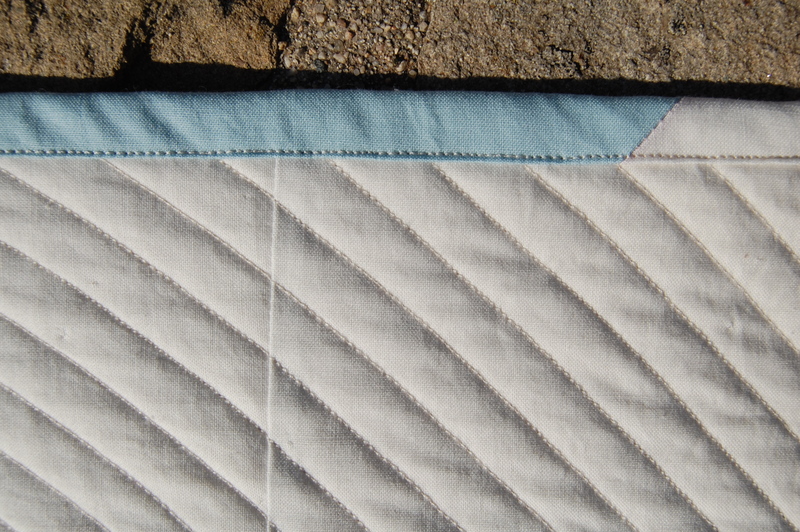 After using my walking foot for some straight line quilting yesterday, I can say I am SUPER impressed with your quilting… no puckers! It is a most wonderful quilt and truly something you can be proud about. Love the colours and I am also a sucker for circular quilting myself. I love everything about this quilt. 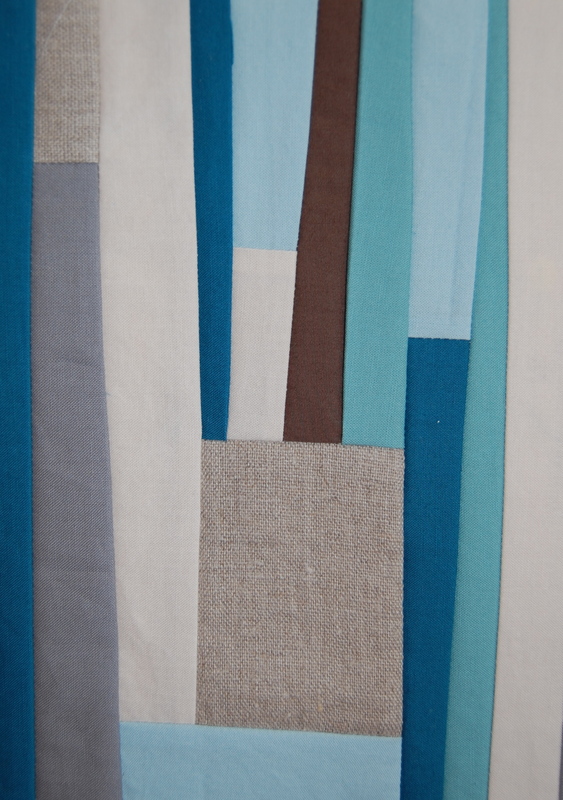 The colours, the design, the quilting and the process. Thanks for sharing. What a great quilt! 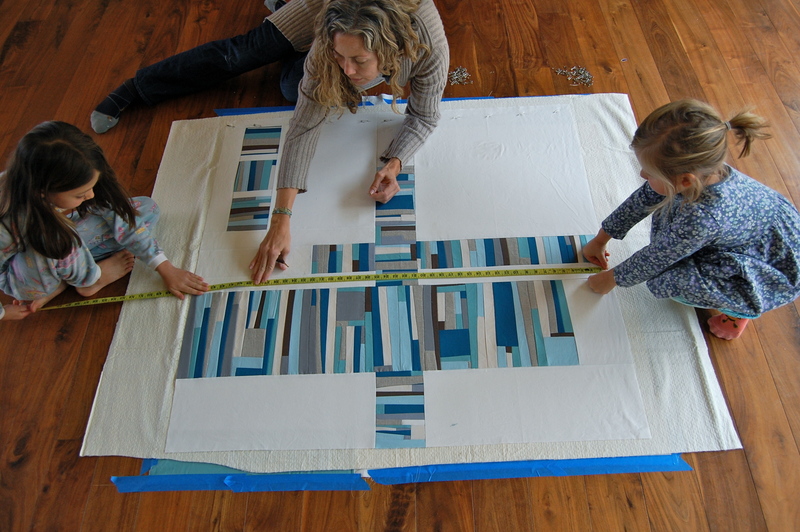 Thanks for posting your process – what a treasure to have your girls involved in the process! Congratulations! I love everything about this! Such a fabulous quilt. oh. my. gosh. I love this quilt! I’m so glad I found your blog. Really enjoy your process and looking forward to more! 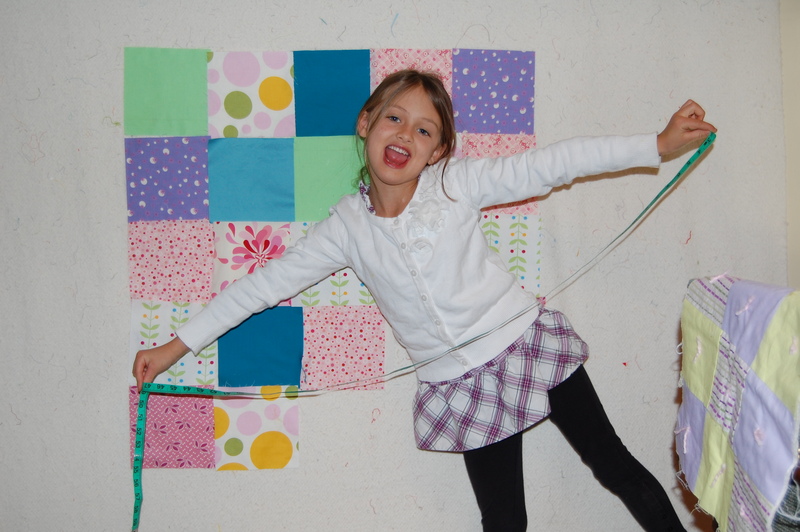 Love the quilt–love the colors–love the fact that you have a supportive family who allows you the time and the “help” to let your creative side come through. Another fabulous creation. Everything about this quilt is amazing. Great job Karen! I love this Karen ~ you are incredibly talented! WOW! 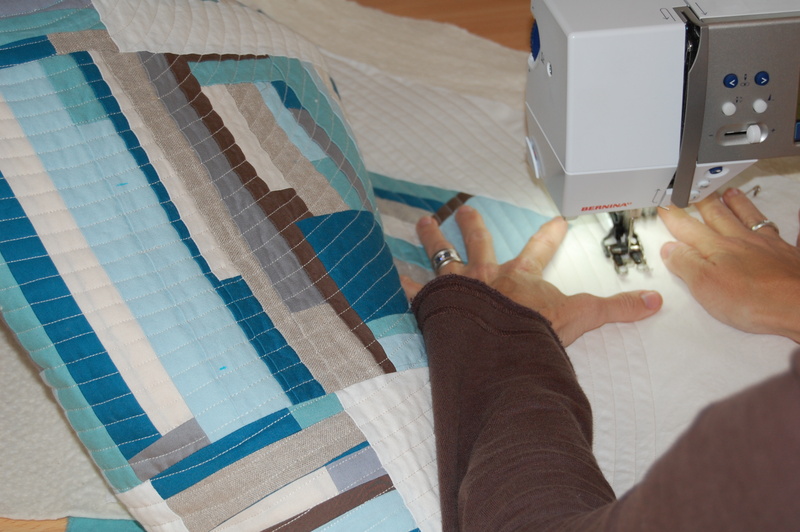 The circular quilting does something fabulous to the solid pieces. The binding is just right. The back is such a perfect complement with the color samples lined up. The overall piece is stunning! And the photos of your helpers are precious! 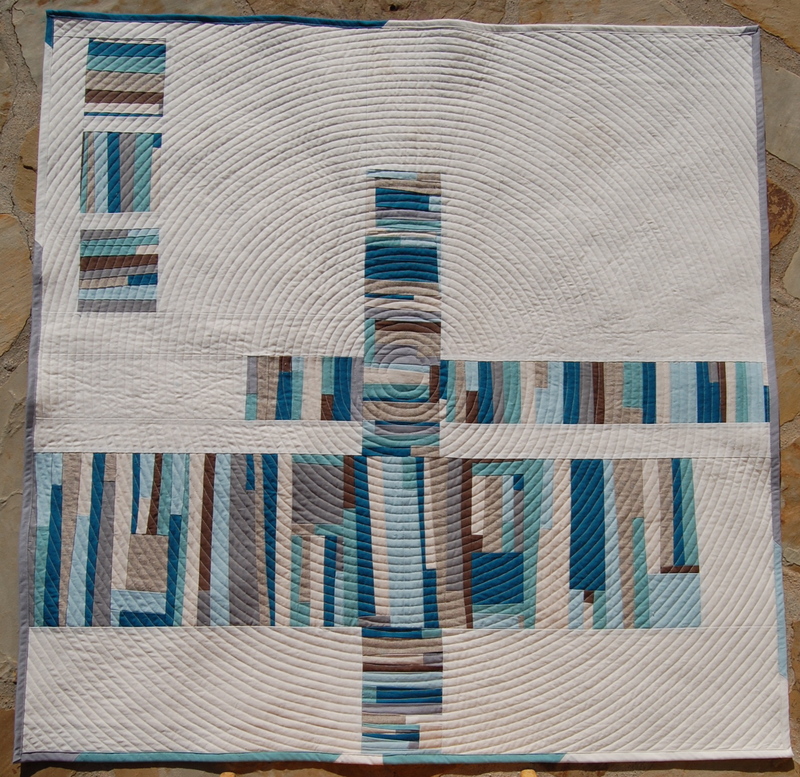 Congratulations on this yet-another fabulous quilt. It’s not a spiral it’s individual circles! I can’t even wrap my brain around doing that! And you do it so well! Love, love, LOVE your style Karen! Thanks so much Liz. I hope to be able to show it to you person next month!! Beautiful quilt! I also love all the behind the scenes footage! 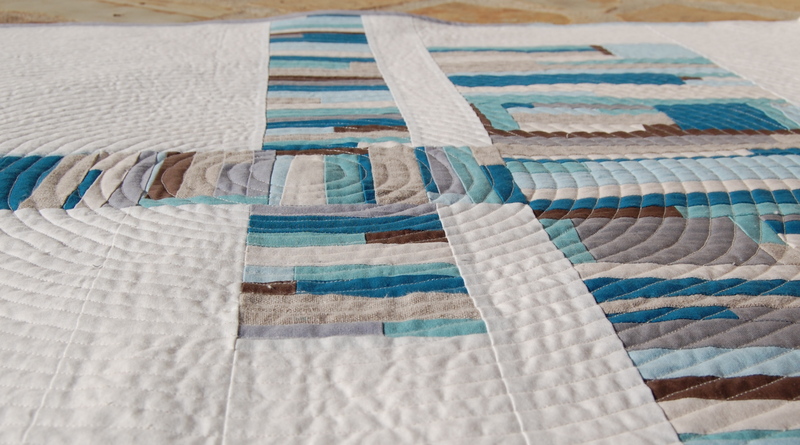 I think your No Simple Highway quilt is gorgeous – I love the colors and the concentric quilting on it. 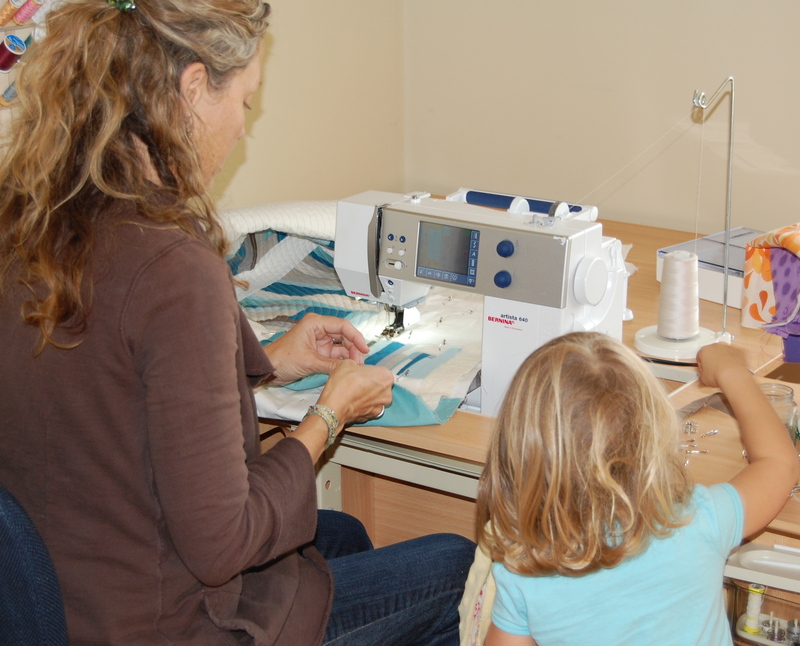 Did you just use a straight stitch? ooh, la, la! This is a beauty! I love the colors – so serene. And the circular quilting ties it all together. I’ve been wanting to try something like that. Brilliant! I adore this quilt. You’ve done a fabulous job. Very inspirational! wow. i love every single detail of this quilt. 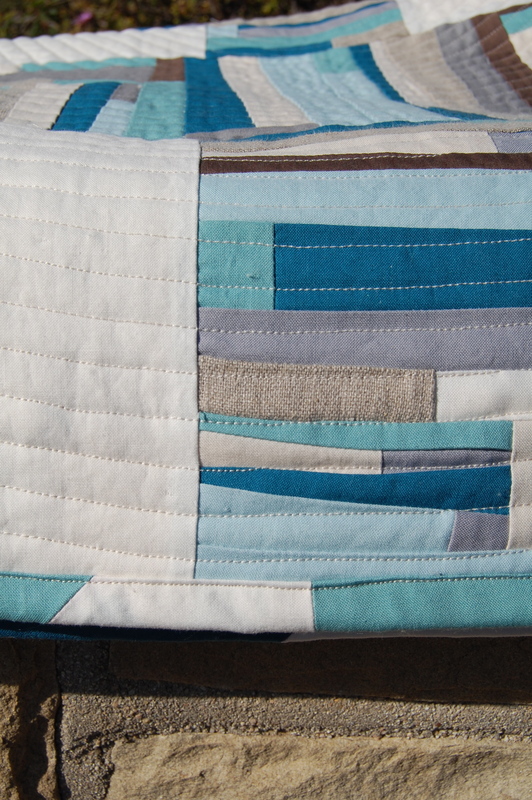 i love the watery colors, the circle quilting that seems to ripple out, and especially the white in the binding. 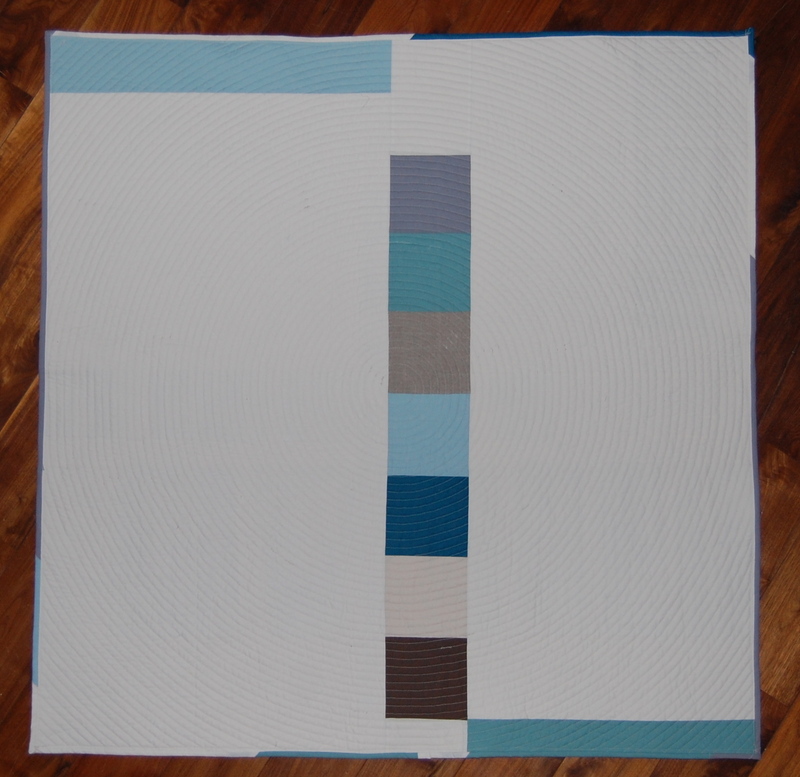 that white seems to blur the edges of the quilt and make the circle quilting look like it echoes out into forever. stunning. Thanks soo much Melinda! I really love this quilt too. I’m still deciding on how to hang it, since I’m not sure I want to sew a sleeve on the back. I’d love to find some nice, modern hanging hardware. Still looking!